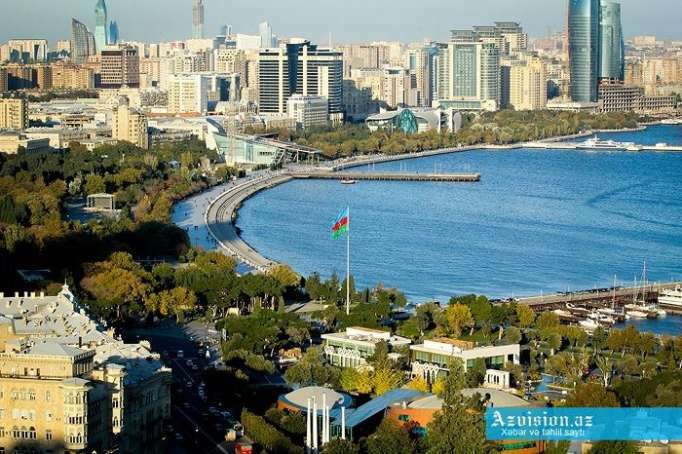 Azerbaijan offers innovative proposals and good conditions for young people to overcome today's challenges, President of the Inter-Parliamentary Union Gabriela Cuevas Barron said, AzVision.az reports. Barron made the remarks at the 5th Inter Parliamentary Union Global Conference of Young Parliamentarians in Baku on Dec. 14. She stressed that environmental problems, climate change should be taken into account. After seven generations, problems with food will arise, she said, adding that sea basins are under threat. Over the last ten years six billion tons of fish stocks have been eliminated, Barron said, adding that mistakes in this area are unacceptable. The right choice and brave decisions should be made, she said. She also added that poverty may be overcome through education and science. Education should be considered as an advantage, rather than expenses and people's problems must be solved through education, she added. The 5th Inter Parliamentary Union Global Conference of Young Parliamentarians is being held in Baku. Speaker of the Azerbaijani Parliament Ogtay Asadov, Azerbaijani Minister of Youth and Sports Azad Rahimov, President of the Inter-Parliamentary Union Gabriela Cuevas Barron, as well as other foreign and local guests are taking part in the conference. Various sessions were held during the two-day conference.